NCSCC: It sounds like you had a nucleus of a community there and you were very involved in the original institutions that really have kept this community together. Bob Greensfelder: Yeah. I may have written the bylaws for the Ring of Bone Zendo, and I know I did successfully apply for a tax exempt status from the federal government. NCSCC: Are you a Zen practitioner? Bob Greensfelder: I’m a dropout. NCSCC: For a while you were practicing? Bob Greensfelder: Yeah, I was. Yeah. 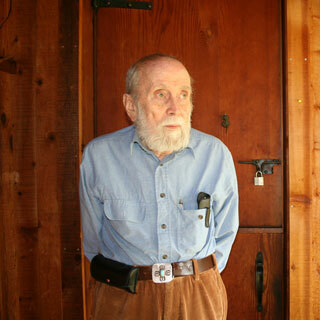 Gary (Snyder) started that in his own house. He had lived in Japan for varying lengths of times, two or three visits over there, and at one time spent months – I don’t know whether it was years – in a Zen temple studying with a Japanese Zen roshi who gave him his Japanese name, which means he probably achieved Kencho, which is illumination. And I think he still sits every morning. When he got back from probably his last trip to Japan, he started a small group of us sitting across the street from us in Homestead Valley. In Mill Valley, up the hill there was a little hut. A very small building. I can’t remember who built it, it might’ve been Albert Saijo. I’m not sure. But on one of his trips back from Japan, he lived there for a while and started two or three of us in the neighborhood sitting, teaching us what to do in the etiquette and postures. In regular Zen sitting, to relieve the stress of sitting cross-legged – preferably in the lotus or half-lotus position – there’s a break every maybe half hour or three-quarters for kinhin, which is walking meditation. You file out of the zendo and walk around on the porch that surrounds it. That’s why zendos have porches around them sheltered from rain. And that’s called kinhin. Gary, when he had two or three of us teaching us the rudiments in that little shack, would take us out into the field and have running kinhin in the dark. That was supposed to sharpen our awareness I guess. I don’t know – it was pretty crazy. The house on that property, which was down almost at the street level across the street from my house, was the scene of a wild party that was given there that appears in the book The Dharma Bums. Are you familiar with that? Yeah, it had thinly disguised names of real people. I had written down all those in the front cover, the inside cover. NCSCC: So you said you were there for that party? Bob Greensfelder: Yes. And Alan Ginsburg must’ve been there because it was his custom to throw off all his clothes at parties. And just to kind of support him and let everybody know it was okay, Gary threw off all his clothes too. I’ve never seen him do anything like that before or since. NCSCC: Did you throw off all your clothes? 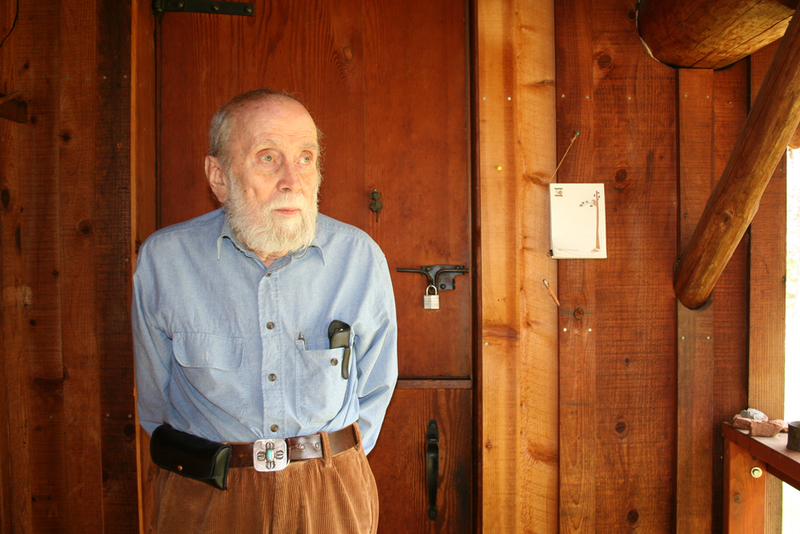 NCSCC: Did you work on the construction of Gary Snyder’s house? Bob Greensfelder: I spent a token week there. I think mainly planning a massive threshold. Gary had then – I don’t think he has it anymore – he called it a shoji room. One wall of the big interior room had a shoji screen across it and Japanese matted floor leading up and a big sliding glass door out to a little deck. It was very pleasant. NCSCC: So there must have been sort of a feeling that this was the place to be?